A little more research will be needed to discover the dates of the postcards in this set. Inverleith Gardens is a short section of Ferry Road. 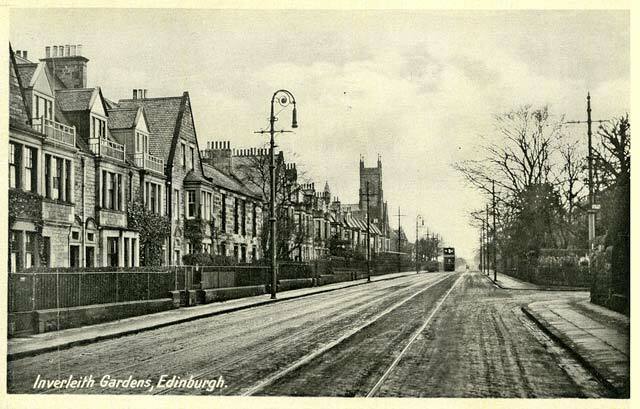 This view looks to the west along Ferry Road from Goldenacre to the church at the top of Granton Road. That's an ornate lamp post on the left pavement.